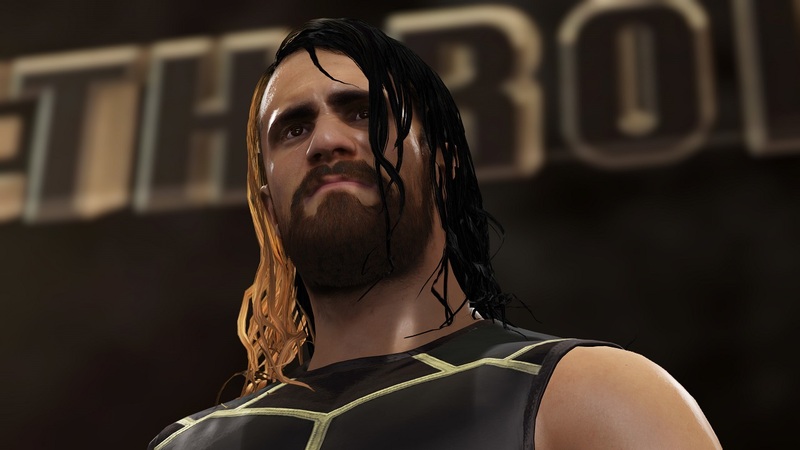 2K have at last properly unveiled WWE 2K16 to the public and with it, shined a spotlight on some of the new gameplay systems and features that this year’s iteration will boast. First things first; the developers have listened to the complaints from folks that last year’s edition was skimping on the features and so as a result, they’ve decided to beef up that side of the equation. In particular, the Creation Suite was one element of last year’s game that was heavily pared back but in WWE 2K16, it returns with a vengeance. Create a Diva, Create a Championship, Create an Arena and Create a Show modes all make their glorious return alongside enhanced Create a Superstar, Create an Entrance, Superstar Studio and Community Creation offerings. Furthermore, WWE 2K16 also allows would-be creators to create their own custom soundtracks once more too; a feature that was sorely missing from last year’s game. Elsewhere, there 2K Showcase along with a revamped WWE Universe and 2K Career Modes, with the latter now going deeper into the personality of the WWE superstars, allowing the player to carry out interviews, train with other superstars and even get inducted into the WWE Hall of Fame. In terms of the gameplay, massive improvements abound just about everywhere. Controls have been overhauled to seperate grapples from striking attacks, while reversals are effectively finite now and require timing and tactics to use properly; something that will no doubt please folks who have been on the business end of constant reversals. The reversals have also been split up into minor and major reversals too, with the former being easier to perform and requiring less reversal points and the latter being much more taxing to perform and use, but could swing the momentum of the match if successful. A brand new pin system has also been implemented,which much like the chain wrestling mechanic introduced in last year’s game, uses a mini-game to enable all new dirty and clean variations for the player to use. Speaking of chain wrestling, that too has been refreshed with all new manoeuvres and the ability to take cheap shots after the holds conclude. Further afield, WWE 2K16 now allows players to utilise ‘working holds’ or ‘rest holds’, as the smart marks know them, in order to decide on their next plan of attack as they restore their own stamina reserves while depleting those of their opponent. 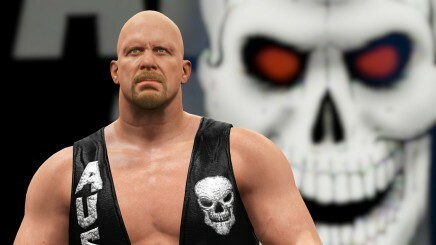 Improving the AI of CPU friends and enemies also appears to be a key element of WWE 2K16, too, with managers now being able to actively distract and engage referees and other managers at ring-side, while tag-team AI in particular has been revamped to make them far more pro-active and less, well, useless. A whole bunch match types have also been restored this time round. Fans who were frustrated at the limited number of match types in WWE 2K15 should be cheered to hear that ladder, handicap, tornado tag team matches and many more all make their glorious return in WWE 2K16. Dynamic entrances are now thing too – allowing players to take control of their entrances and permitting them to attack their foe before the bell has even rung. Presentation-wise, ‘wrestling god’ John “Bradshaw” Layfield has joined the previous pairing of Michael Cole and Jerry “The King” Lawler to provide an all new dynamic to the commentary of WWE 2K16 with all three commentators actually recording their lines side-by-side in studio in order to foster more organic sounding interactions between them. A new raft of visual upgrades is also on the cards for WWE 2K16, enabling improved cloth physics, better sweat and more realistically animated hair to name just a few of the improvements on offer. Finally, the general standard of the broadcast presentation has seen massive improvements also, with match loading screens now replaced by the camera panning to the commentary team for their thoughts on the match and a whole host of extra detail lavished on both the arenas and the crowds that cheer or boo within them. 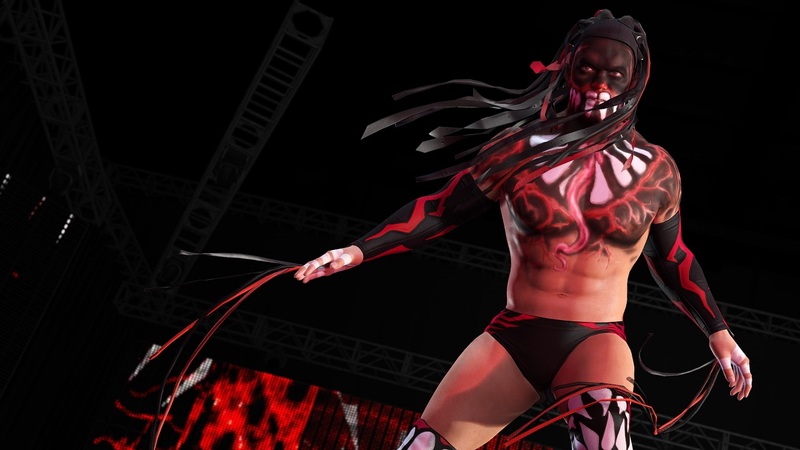 Oh and there’s a whole new collection of screenshots for the game that you can catch below, too (that Finn Balor eh?). WWE 2K16 releases this October on PlayStation 4, PlayStation 3, Xbox 360 and Xbox One.